Last week the US State Department approved almost $1.9 billion in new weapons for Israel. The approval came just weeks after the Israeli rights group Breaking the Silence collected reports of possible violations of international law during Israel's 2014 "Operation Protective Edge" in Gaza. 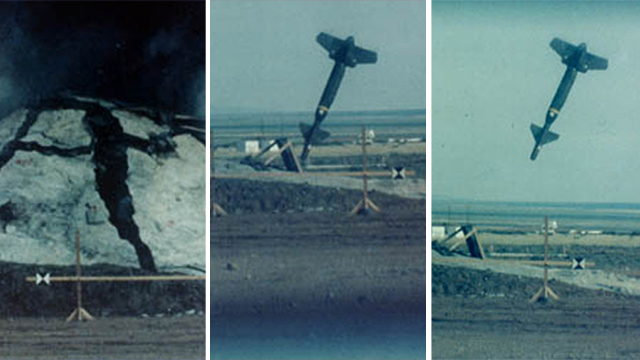 The weapons sale includes 14,500 kits to upgrade "dumb" bombs into precision-guided munitions, over 12,000 unguided bombs and 50 Super Penetrator "bunker buster" bombs, designed to hit targets underground. Also approved for sale were over 3,000 hellfire missiles, which the US withheld briefly from Israel following last summer's attack on Gaza. The 50-day assault killed over 2,200 people, most of whom were civilians. The Defence Security Cooperation Agency stated in its announcement of the arms sale that "the United States is committed to the security of Israel, and it is vital to US national interests to assist Israel to develop and maintain a strong and ready self-defence capability." "These munitions will enable Israel to maintain operational capability of its existing systems and will enhance Israel's interoperability with the United States," the agency said in the statement. "These are weapons that Israel already has in its arsenal, and this shipment will help replenish the stock depleted by last year's Gaza operation," Gerald Steinberg, political science professor at Bar Ilan University told Bloomberg. The sale still awaits Congressional review. However, US weapons sales to Israel have very rarely run into difficulty passing through Congress. The sale is to be funded through US Foreign Military Financing grants. The United States provides Israel with over $3 billion a year in Foreign Military Financing, which accounts for almost a quarter of Israel's total defence budget. The Congressional Research Service report on US aid to Israel states, "US military aid has helped transform Israel's armed forces into one of the most technologically sophisticated militaries in the world." Critics of US military assistance to Israel have raised concerns about the sale, given possible violations of international law committed by the Israeli military during last year's attack on Gaza. US law prohibits providing military assistance to countries that engage in human rights violations. A report from last summer found that the US supplied Israel with many of the same types of weapons that were used in "Operation Protective Edge" and an Amnesty International report last December stated that a number of Israeli airstrikes on Gaza amounted to war crimes. Amnesty also documented cases of the Israeli military attacking hospitals and health workers. The latest allegations of war crimes came earlier this month when Israeli soldiers gave anonymous testimony [PDF] about their experience in the 2014 war in Gaza. The testimonies allege that the Israeli military didn't institute basic measures to minimise civilian casualties in Gaza. According to the testimony, Israeli soldiers were told to regard anything in Gaza as a "threat" and told that they should "not spare ammo." "The saying was: 'There's no such thing there as a person who is uninvolved.' In that situation, anyone there is involved. Everything is dangerous; there were no special intelligence warnings such as some person, or some white vehicle arriving ... No vehicle is supposed to be there – if there is one, we shoot at it. Anything that's not 'sterile' is suspect." Other testimonies allege that tanks fired randomly or for revenge on buildings without regard for civilians who might be inside. The testimonies also describe Israeli soldiers looting Gazans' homes and engaging in arbitrary property destruction. In one instance, an individual describes running over cars with tanks. "You could say they went over most of the things viewed as accomplishments. They spoke about numbers: 2,000 dead and 11,000 wounded, half a million refugees, decades' worth of destruction. Harm to lots of senior Hamas members and to their homes, to their families. These were stated as accomplishments so that no one would doubt that what we did during this period was meaningful." The State Department's announcement of this unusually large arms sale is likely meant to reassure Israel over its concerns about the US-Iranian nuclear agreement. "The timing certainly has the appearance of calming Israeli fears about Iran," Gerald Steinberg said. Yiftah Shapir, who heads the Middle East Military Balance project at Tel Aviv's Institute for National Security Studies, agreed. He told Bloomberg, "There's no doubt that packaging them all together in one sale, and announcing it now, is clearly linked to the Iran agreement." Haaretz reported earlier this week that the US has quietly made plans to provide compensation to Israel if Washington and Tehran reach an agreement to limit Iran's nuclear programme. According to Haaretz, this compensation includes F-35 stealth fighters, missile defence systems and other unknown military materials. The US and Israel have already agreed that Israel will buy 33 F-35s at $110 million apiece. The first planes are set to arrive in 2016. However, the Israeli military is seeking a total of 50 F-35s. Paul Gottinger is a staff reporter at RSN whose work focuses on the Middle East and the arms industry. He can be reached on Twitter @paulgottinger or via email. Reader Supported News is the Publication of Origin for this work, which can be viewed here. 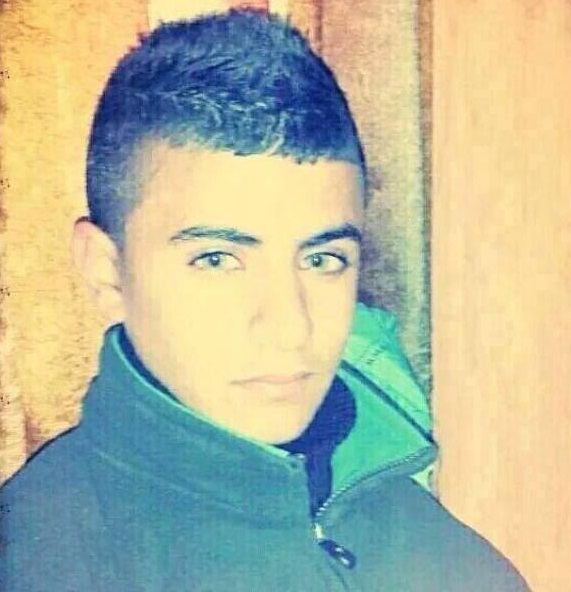 A Palestinian child was critically injured after Israeli forces shot him with a rubber-coated steel bullet near the Shu'fat refugee camp on Thursday, witnesses said. Yahiya Sami al-Amoudi, age 10, was walking near a checkpoint by the occupied East Jerusalem refugee camp when he was shot by the bullet. He was taken to the Hadassa hospital in Ein Karem with a fractured skull, jaw and left ear, and had surgery to remove his left eye. The child's family said he was heading back home from school, when he was shot by a rubber-coated metal bullet in his eye. A spokesman for Fateh Movement in the camp, Thaer Fasfous, condemned the targeting of children with tear gas, stun grenades and rubber-coated bullets. Israeli police spokesperson Micky Rosenfeld claimed that there were "disturbances" in the Shufat area after locals threw stones at municipality workers. State Department, Pentagon approve massive weapons sale, worth $1.9 billion, to Israel in bid to ward off concerns over Iran nuclear negotiations, Gulf states' military procurements. The US State Department approved a massive sale of bombs and missiles worth $1.897 billion, pending final congressional authorization. 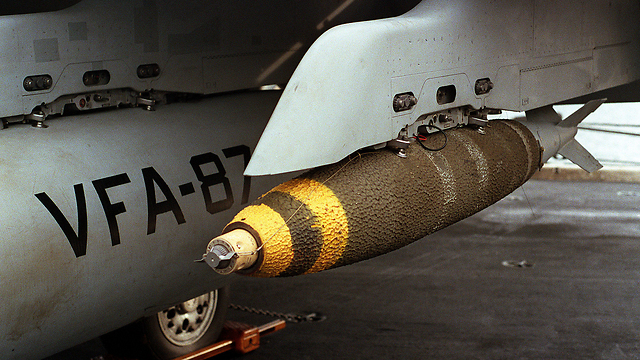 The procurement package includes bunker buster munitions and its timing suggests the Americans are seeking to alleviate Israeli concerns over the developing deal with Iran. The colossal weapons deal is believed to also be intended to prevent vocal opposition by Israel and its allies to the commitments made by President Barack Obama at Camp David to arming Gulf states. 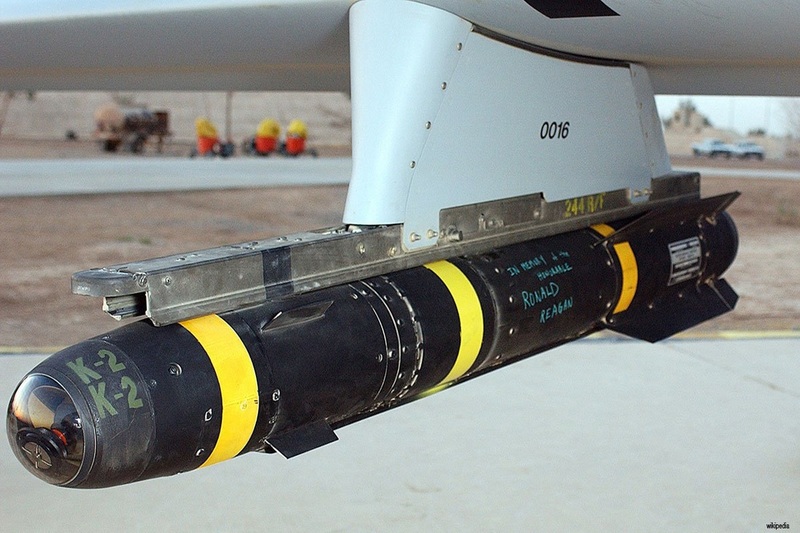 The pending package to Israel includes 3,000 Hellfire missiles for the air force's helicopters. During Operation Protective Edge, the US suspended a transfer of the air-to-surface missiles over its disapproval of Israel's campaign against Gaza. The weapons deal will also significantly increase the Israeli Air Force's precision munitions cache, with hundreds of GPS and laser-guided bombs and missiles included in the package. The Defense Security Cooperation Agency – a section of the Department of Defense – said it submitted the required certification to Congress on May 18. If approved by the US legislature, Israel will receive the massive shipment, which among other tactical weapons includes 50 BLU-113 Super Penetrator and 700 BLU-109 Penetrator bunker buster missiles. The statement said that "the United States is committed to the security of Israel, and it is vital to US national interests to assist Israel to develop and maintain a strong and ready self-defense capability." The Department of Defense added that "Israel, which already has these munitions in its inventory, will have no difficulty absorbing the additional munitions into its armed forces. 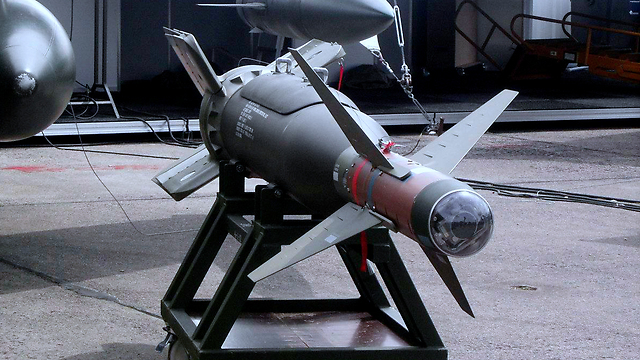 The proposed sale of these munitions will not alter the basic military balance in the region." An Army officer told Ynet that the rubber bullet "is considered a more humane weapon". 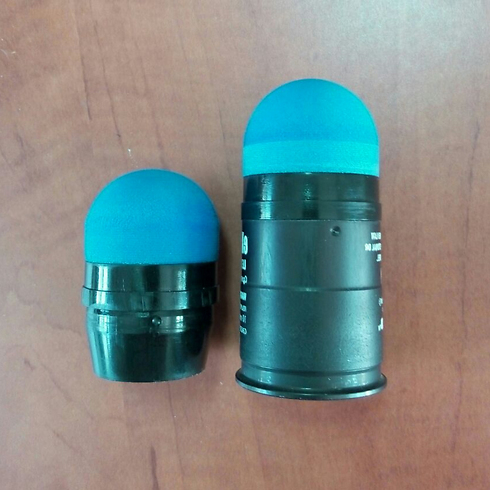 The tens of thousands of rubber bullets purchased by the IDF are intended for use by the Judea and Samaria Division, and will be deployed in the upcoming weeks, initially as a pilot program for border guard units. Another change in crowd control measures used by IDF is the Ruger firearm, which specially authorized units can use to fire small lead projectiles into the lower body of a central instigator. 'Lance' rocket system designed for precision strikes while offering greater mobility and cheaper costs than Air Force alternatives. 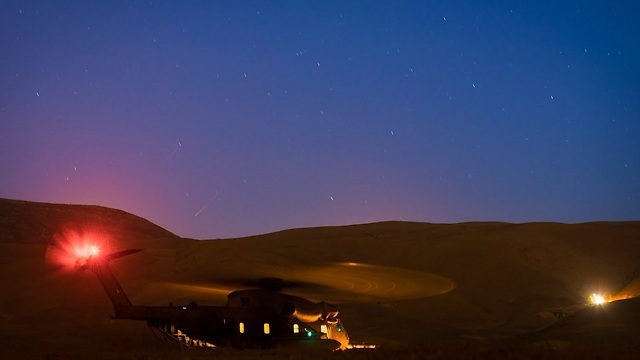 A new Israeli rocket system was tested for out in the field the first time during a military exercise last week where drone footage showed the accuracy and power of a strike of the "Lance" rocket. The new weapons system delivers a total weight of 20 kilograms of explosives to a target specified by advanced GPS technology meant to minimize the chances of collateral damage to nearby civilians and structures. The GPS system installed in the Lance rockets is unique from other rockets used by various units in the IDF which lock onto targets from afar using an electro-optical head. 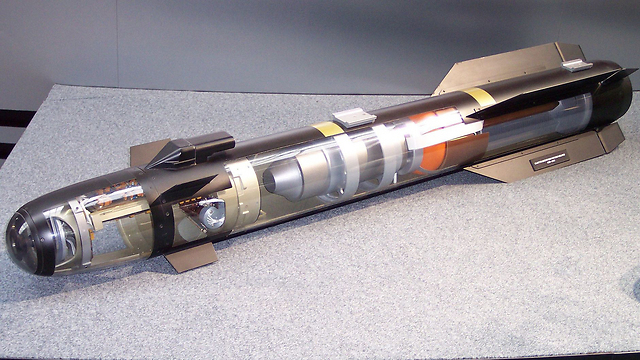 The Lance is capable of firing as many as 10 rockets per minute and can reach targets as far as 40 kilometers away. Additionally, the system is cheaper and more mobile that most rockets used by the Air Force. The rocket is launched from a specialized truck equipped with a launching pad similar to those used by the IDF's Artillery Corps. "Today, artillery no longer stays behind; it's a part of front-line ground maneuvers," Major General Yitzik Turgeman told Ynet. "No forward units move without fire support. During Operation Protective Edge, Turgeman and his troops used different rocket system to fire more than 1,000 rounds at targets in Gaza. Lance was dubbed a success after marking a direct hit on a target at a range of 20 kilometers during the exercise. Several drones filmed the strike from various angles. 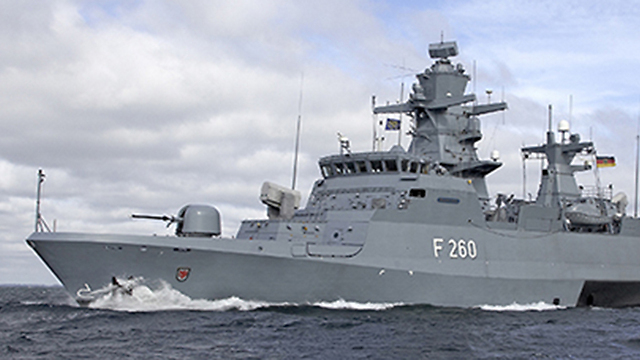 Germany will provide Israeli navy with ships at cost of NIS 1.8 billion and finance third of costs; deal announced day before Israel and Germany mark 50 years of diplomatic relations. Defense Minister Moshe Ya'alon and German Defense Minister Ursula von der Leyen signed a contract Monday under which Israel will purchase four ships from Germany to protect its offshore gas rigs. The total cost of the vessels is estimated at about NIS 1.8 billion. The German government will finance a third of the deal, which was announced a day before Israel and Germany will mark 50 years of diplomatic relations. It's been nearly two decades since Israel replenished its naval ships and military officials are hoping the German ships, advanced surface vessels, will become the future combat boat of the Israeli navy. It will take two to four years to complete the construction of the ships and bring them to Israel. The ships purchased by Israel are larger and heavier than the Sa'ar 5-class corvettes currently used by the Navy. Each ship will weigh about 2,000 tons, and will be capable of carrying advanced combat systems that will enable operations from a distance of hundreds of kilometers from Israel's coasts and will include missile tracking systems. Similar to the new German-made submarines that will arrive in Israel in September, the new ships will arrive "bare", and will be installed with a combat system developed by the defense industry in an process that will take a year. Alongside the major impact Israel's Leviathan and Tamar natural gas fields have on Israel's economy, they also created a security challenge for the Navy, whose troops secure the fields that have become strategic targets. The Navy's missile ships are forced to sail regularly to the gas rigs and during periods of tension in the north, a missile boat has to remain nearby. In 2012, the Navy completed formulating details regarding a proposed plan for the protection of the rigs. The recommendations were transferred to the government, which confirmed them. A tender was then announced, coming to a completion today at a festive signing ceremony at the IDF headquarters at the Kirya base in Tel Aviv. Dan Harel, the Defense Ministry's director-general, said the deal marked a "dramatic jump in the navy's defensive capabilities." Israel already has four German-made submarines capable of launching nuclear warheads. Israel's military command perhaps pushes for escalation in order to increase the army's budget, claims a military budget officer in an anonymous Facebook posting. “Wars, operations, exceptional events, they were our way to close gaps in the budget and even build up a reserve for the coming years...Facts are traitors which incite against the army and the state”. Posting anonymously on Facebook, the officer claims he was compelled to write after reading an interview with a senior military official about Israel's NIS 70 billion defence budget. “This interview is full of nauseating smugness of the officer, who is trying to again peddle the same lies and threats that if the army is not given more and more billions, he will be forced, no choice, to kill soldiers. That's how it is, if you don't pay, you will bury (the dead). Indirectly, of course, because if there is no money we will have to again send soldiers in tin cans into Gaza, but the subtext is clear. The officer adds that “As a budget officer, wars, operations, exceptional events, they were our way to close gaps in the budget and even build up a reserve for the coming years. 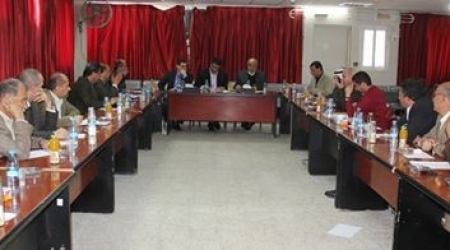 In the (Gaza) disengagement, for example, the army succeeded in blackmailing so much money from the state that already in July we managed to close our contracts going forward and we sought where to shove the remaining money. All sorts of projects that weren't approved in the past, building auditoriums, gyms, offices, everything that required money and a lot of it. It's difficult for me to explain the excitement that could be felt in the hallways of the budget department every time that such an event began. A few qassam rockets made everyone put on combat uniforms and pull from the attic the presentations and files which show, with a disporportionate exaggeration, how much money we've already spent on the operation, that we need it to be returned quickly or the army would collapse. For every ten soldiers placed to guard a post, we demanded a budget for their uniforms, the food, the ammunitions they are liable to use, heavy combat equipment, depreciation for tanks that would maybe come out of the storerooms, pension for those soldiers for that day and everything possible to put in the presentation with a number beside it. True, the army is supposed to fund the daily existence of these soldiers from its budget, because if there was no operation they would be eating in any event, but facts are traitors which incite against the army and the state. The U.S. Congress last week endorsed a bid to provide military assistance, worth some $700 million, to the Israeli occupation’s war arsenal. The bid pledged to cover $474 million of Israel’s funds allotted to anti-missile systems, including the Iron Dome and the Magic Wand. Included in the U.S.-Israel cooperative missile defense funds are $267 million in research and development funds authorizing probes into and promotions of an anti-tunnels defense system. 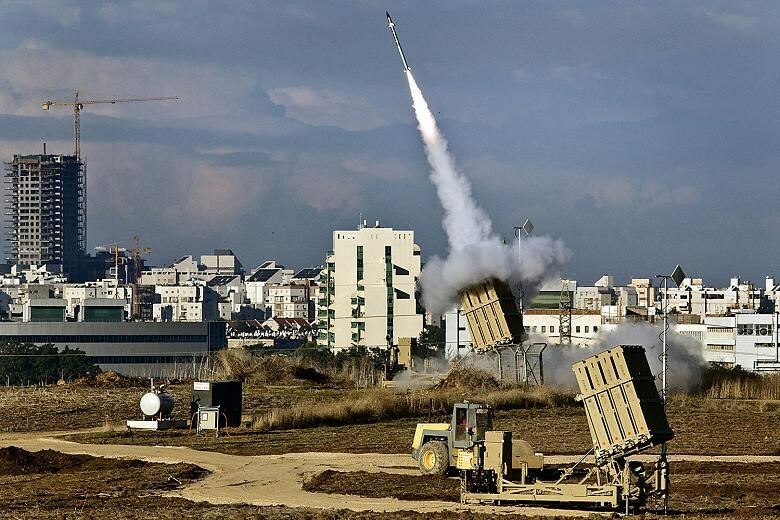 The congress further approved $41 million for the short-range Iron Dome rocket defense system,. Also included in the amendment approved Thursday are $156 million for David’s Sling, another short-range system, and the longer-range Arrow-3 missile defense programs. The iron dome is a mobile all-weather air defense system developed by Rafael Advanced Defense Systems and Israel Aircraft Industries to intercept and destroy short-range rockets and artillery shells fired from distances of 4 kilometers to 70 kilometers away and whose trajectory would take them to a populated area. 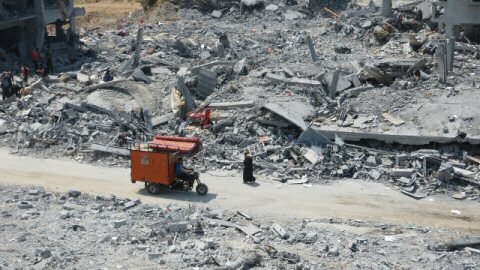 Last year Israel’s war machinery took away the lives of over 2,300 Palestinians, mostly civilian children and women, in a military offensive that sparked international concern and condemnation. US Vice President says advanced fighter jet will help ensure Israel's 'qualitative edge' at Independence Day celebration hosted by Israeli embassy. Vice President Joe Biden on Thursday promised Israel delivery of top-flight fighter jets to help it maintain its military edge in the Middle East and vowed any nuclear deal with Iran would ensure Israel's security. As the White House sought to ease tensions with Israeli Prime Minister Benjamin Netanyahu, Biden told an Israeli Independence Day celebration that the United States would deliver new F-35 jets to its ally next year. Vowing the United States would make sure Israel maintained its "qualitative edge," Biden told the audience: "Next year we will deliver to Israel the F-35 Joint Strike Fighter, our finest, making Israel the only country in the Middle East to have this fifth-generation aircraft." Biden's high-profile appearance at an event hosted by the Israeli Embassy was the latest sign of White House efforts to lower the temperature after a period of acrimony between President Barack Obama and Netanyahu over Iran nuclear talks and Middle East diplomacy. Ties became badly frayed early last month when Netanyahu accepted a Republican invitation to speak to the US Congress, where he railed against Obama's quest for a nuclear deal with Iran. Biden sought to reassure the audience at the event of the Obama administration's commitment to reaching a final nuclear agreement with Iran that would maintain Israel's security. He insisted there would be "no deal" unless Iran agreed to strict international inspections. "If Iran cheats," he said, the United States would maintain every option "on the table." Speaking of the US-Israeli relationship, Biden acknowledged that "we've had our differences" but added that "we protect each other." Obama, who has faced complaints from some fellow Democrats that the public feud had gone too far, has recently reached out to US pro-Israel groups and American Jewish leaders seeking to soothe their concerns about his support for Israel. Biden said that Obama "says he has Israel's back and you can count on it." Israel bought 19 F-35s in 2010 for $2.75 billion and signed a contract in February to buy an additional 14 of the Lockheed Martin Corp fighter jets for about $3 billion. Israel's first two F-35s will arrive by the end of 2016, with deliveries scheduled to be completed by 2021, the Israeli Defense Ministry said in February. 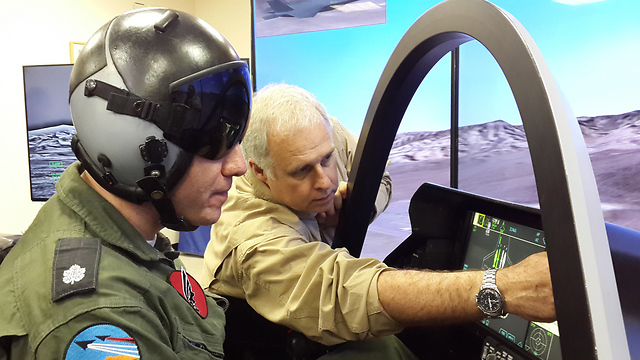 Earlier this month a simulator for the F-35 arrived at an airbase in the Negev. "The S-300 anti-aircraft system is exactly the type of threat the F-35 was designed to counter," said Steve Over, director for F-35 international business development, during a visit to the Israeli airbase. The American official was commenting on the stealth fighter's capabilities after reports surfaced that Iran would receive the advanced Russian system. Israeli pilots to train on new Lockheed Martin simulator of next-generation stealth fighter ahead of its scheduled delivery in 2016. The first simulator for the Israeli Air Force's most advanced jets – the F-35 – arrived in the Jewish State recently and was unveiled on Wednesday at an airbase in the Negev as part of the preparations for the advanced warplane's expected delivery in 20 months. The simulator will integrate with the rest of the air force's preparations ahead of the establishment of the first squadron for the stealth fighter, codenamed Adir in Hebrew. The squadron already included a Brigadier-General-level commander and five combat pilots who will receive specialized training in the US over the next year and will be expected to train the pilots of the first operational squadron, which will be composed of 19 pilots. Unlike the traditional two-seat warplanes already in service, the Adir is a one-seater jet, meaning new pilots will not enjoy the luxury of flying with an instructor as a co-pilot. The full-fledged simulators scheduled to arrive in the middle of 2016, made by Lockheed Martin, are intended to provide a "one-for-one" simulation of the real jet, down to the angular 3D screens that surround the cockpit. Officials at the Lockheed Martin, one of the top American defense firms, said that 60 hours in the simulator would suffice to qualify a combat pilot for F-35 operations. "The S-300 anti-aircraft system is exactly the type of threat the F-35 was designed to counter," said Steve Over, director for F-35 international business development, during a visit to the Israeli airbase. The American official was commenting on the stealth fighter's capabilities after reports surfaced that Iran would receive the advanced Russian system. Over added that the "F-35 will fly in the face of threats without being identified by defensive systems, as it will carry its payload inside the airplane and not on the wings as in the F-15 and F-16 warplanes, decreasing the probably of being spotted." The Lockheed officer boasted that "it has the most advanced radar and a system capable of 'blinding' the enemy's defensive capabilities. Additionally, the F-35 automatically identifies threats from hundreds of miles, giving the pilot the decision whether to evade or attack." He stressed that the jet "has a surveillance system of enemy forces, which can identify a unit as small as a man, which works from an eight mile range." Lockheed Martin officials also noted that the veteran pilots who flew both the warplane and the simulator testified that it was "friendly and as easy to use as an iPad. Everything is a button push. It's like how five years ago no one could have imagined we would have the internet and e-mail in our pocket." The commander of Nevatim Airbase also commented on the threat posed by the S-300 missiles: "The F-35 brings the most advanced capabilities in the world to strengthen our response to the many regional challenges. The S-300 will present a challenge to the air force with its arrival on the scene, and we are preparing for a number of scenarios." But he added that "if we are asked to provide an answer to such a challenge, we will." Among the first to take a ride on the simulator was the US ambassador to Israel, Dan Shapiro. At the end of his initial 'solo flight', Shapiro tweeted: "Flying the F-35 simulator at Nevatim AFB. An amazing aircraft. Will help maintain Israel's QME 4 the next generation." According to the American ambassador, the warplane had offensive capabilities which cannot be matched by other jets and will help maintain Israel's air superiority for generations to come. 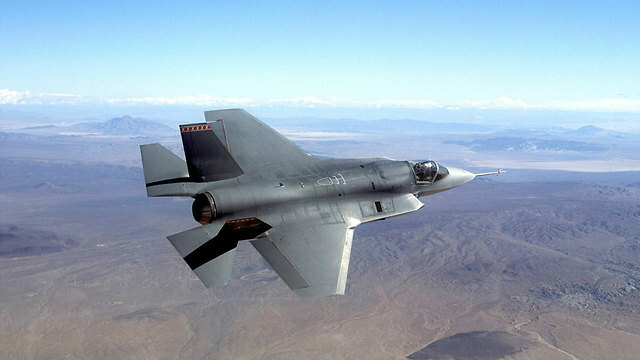 The first of the F-35 jets are expected to be delivered in December of 2016.